When it comes to termites, prevention is definitely less expensive than cure. Termite protection is a wise investment. Regular annual termite assessments safeguard your most important asset, your home, from unnecessary damage. 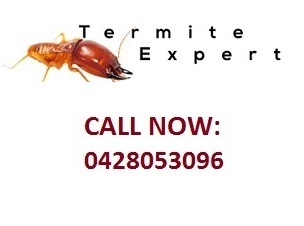 If you haven’t had a termite inspection in the last 12 months, book one today. WARNING: Your house insurance won’t cover any damage resulting from termites. Termite damage could be very costly for homeowners to repair and will all come out of your own pocket. For your own peace of mind you should organise annual termite inspections and install termite monitoring stations. Call The Termite Specialists today to book in your termite inspection for only $249. What do I do if I already have harmful termites inside my house? Step 1: Act Swiftly. Termites eat an incredible quantity of wood, look for a reliable technician to contact immediately. DON’T disturb the termites as this makes it more difficult to treat and eliminate the entire termite colony. Step 2: Book a professional, knowledgeable, insured and licensed termite and pest controller to perform a thorough termite inspection to assess the damage, species of insect and design the plan of action. Once you have a clear snapshot of the problem your termite exterminator will clearly illustrate your termite treatment options and associated costs. Step 3: Agree a termite plan for treatment and then any ongoing termite activity monitoring. Remember that effective Termite Treatment is dependent on many factors and you need to ensure that your technician takes all the factors into account when recommending treatment solutions. What are your options when it comes to a Termite Exterminator? Watch the videos throughout this site. They are designed to educate you to help you make informed decisions about safeguarding your house from termites. Also request documentation regarding their training and experience – especially in your local area. Local understanding helps. Don’t waste your hard earned money engaging a pest inspector who does not have the best products, insurance and training to complete the job properly. Your house is too valuable an asset to risk it. “Pest controllers who continue to use Arsenic Trioxide Dust to control termites are irresponsible and not recommended.